Whether she was handmade or store-bought, I do not know, but sitting with her for a while to ponder her wise suggestions seems like it could be a promising exercise. She remained in our midst yesterday as participants considered their Divine invitations while we prayed with Fra Angelico’s fresco of the annunciation at the Convent of San Marco in Florence, Italy. As we mull over ways we at Kern Road might make ourselves and our resources available to those who need our assistance, may we recall these words from the poem: “You only leave home when home won’t let you stay.” Our congregation’s Immigration and Global Partnership committees are looking to establish a substantial, above-budget immigrant and refugee fund, which they will get off the ground with a potluck fundraiser Sunday, February 26. These committees invite us to come with a “generous spirit and ethnic dishes” to share. As we prepare for the work of welcoming the other (or another task toward which we may be feeling nudged), I trust we will take to heart Pastor Janice's reminder that “the Spirit gives us a kind of resilience” for what lies before us. Find details here about a South Bend informational meeting regarding immigration rights and concerns from 5-7 p.m. Friday, February 17, at Harrison Primary Center. When we need breaks from writing and calling and resisting and marching and monitoring and fund raising, we might take delight in positive, simple, soul-nourishing narratives like these: this forgiveness story which appeared on the CBS Evening News, this One Green Planet piece about a rescued cow basking in the sun with a human friend, and this example of a delightful new quilting apparatus created by a personal friend’s mother and brother. One of the mini ways I nurture my soul each day is by snapping a photo to live into the mindfulness prompt #100happydays. 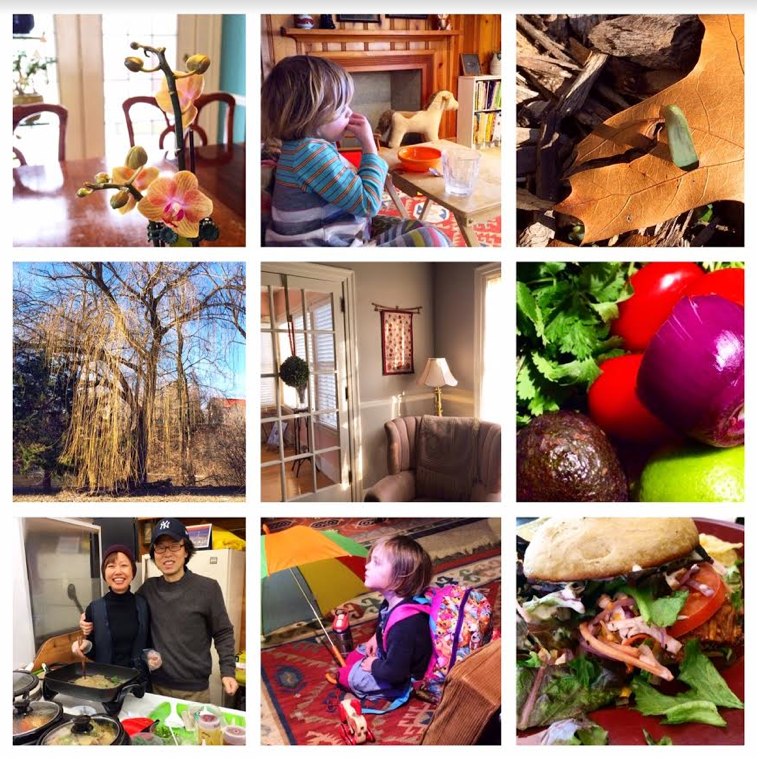 These are the first nine photos I created of people, places, experiences that took me to a happy, grateful place in February. How do you nurture your soul when you are called to love with more abandon than ever?